Singers.com - Songbooks and choral arrangements from the Musical: Oklahoma! Richard Rodgers and Oscar Hammerstein : Oklahoma! 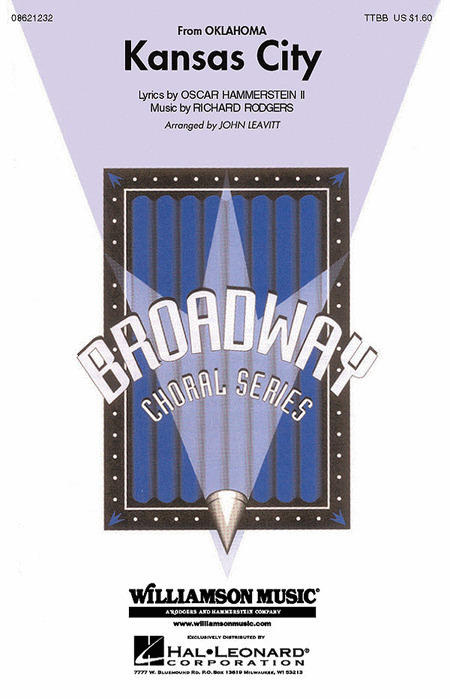 7 songs from the classic Broadway musical arranged for easy piano with lyrics. Includes: I Cain't Say No - Many a New Day - Oh, What a Beautiful Mornin' - Oklahoma - Out of My Dreams - People Will Say We're in Love - The Surrey with the Fringe on Top. We proudly present this deluxe songbook featuring a dozen tunes from Rodgers & Hammerstein's beloved show, which the New York Times calls The Great American Musical! This revised edition contains eye-catching new cover art, priceless photos from the original stage production, a biography of Rodgers & Hammerstein, a plot synopsis, the history of the show, and updated engravings of all the songs, including the two new ones added to the book (Lonely Room - Pore Jud Is Daid) and: All Er Nothin' - The Farmer and the Cowman - I Cain't Say No - Kansas City - Many a New Day - Oh, What a Beautiful Mornin' - Oklahoma - Out of My Dreams - People Will Say We're in Love - The Surrey with the Fringe on Top. Includes Percussion and String Bass parts. Available separately: SSA, ShowTrax CD. Duration: ca. 3:10. Songs in the Broadway Singer's Edition include the vocal line and lyrics paired with faithful reductions of the orchestral accompaniments. The songs are presented in their original keys with piano accompaniments carefully crafted for playability. The audio tracks included in the price of the book are performances of these piano accompaniments. 8 songs: I Cain't Say No - Kansas City - Lonely Room - Many a New Day - Oh, What a Beautiful Mornin' - Out of My Dreams - People Will Say We're in Love - The Surrey with the Fringe on Top. As the opening song in this landmark musical by Richard Rogers and Oscar Hammerstein, the stage is set. Curly is brimming with optimism and the music of Rogers' captures this emotion perfectly. This new arrangement is in the style of the Pentatonix from Billy Porter's The Soul of Richard Rogers. Although totally different in style from the original, it is no less upbeat and optimistic. From the Rodgers and Hammerstein musical Oklahoma, in this Broadway classic, Ado Annie laments her inability to turn away a suitor. A perfect novelty selection for SSA groups! Includes Percussion and String Bass parts. Available separately: SSA, ShowTrax CD. Duration: ca. 3:10. Arranger: John Leavitt | Musical: Oklahoma! Everything's up to date in this classic Broadway favorite from the musical Oklahoma! An excellent feature for men's groups from high school and up. Available: TTBB. Performance Time: Approx. 3:00. Arranger: Joseph Joubert | Musical: Oklahoma! Arranger: Mark Brymer | Composer: Richard Rogers Performed By: Pentatonix | Musical: Oklahoma! 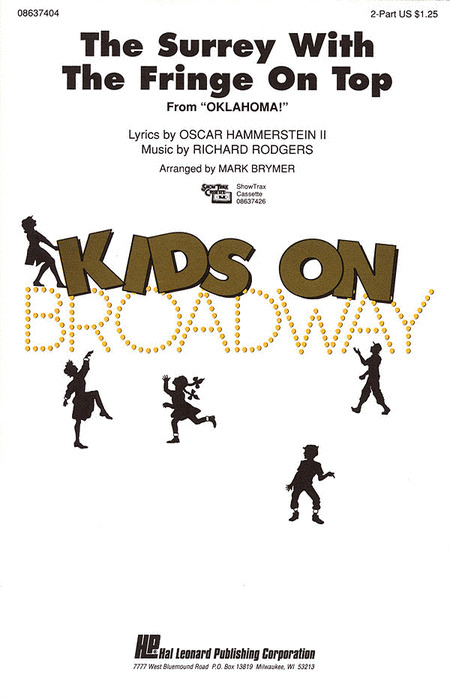 Arranger: Clay Warnick | Musical: Oklahoma! Here is a medley of Rodgers and Hammerstein's first Broadway hit, Oklahoma!. 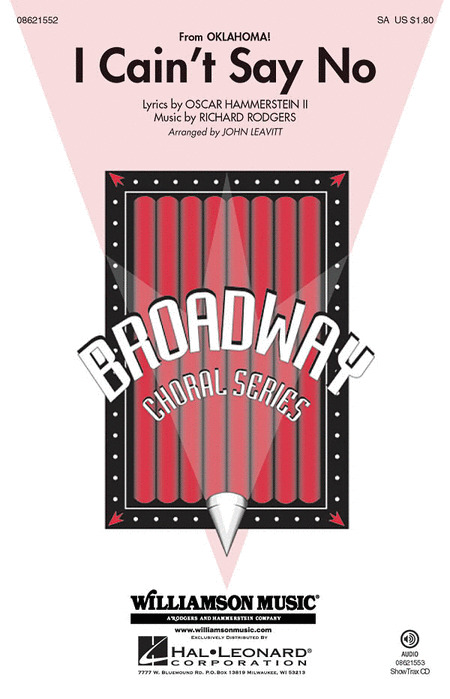 John Leavitt expertly arranged these classic American songs so that every vocal ensemble will sound their best. Outstanding programming! Performance Time: Approx. 8:15. 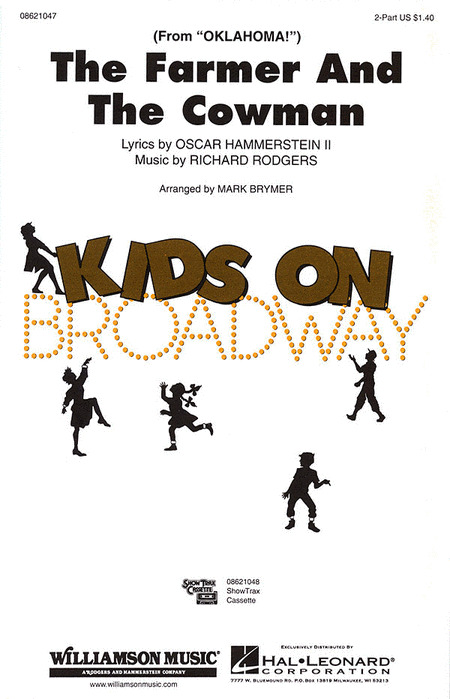 Arranger: William Stickles | Musical: Oklahoma! 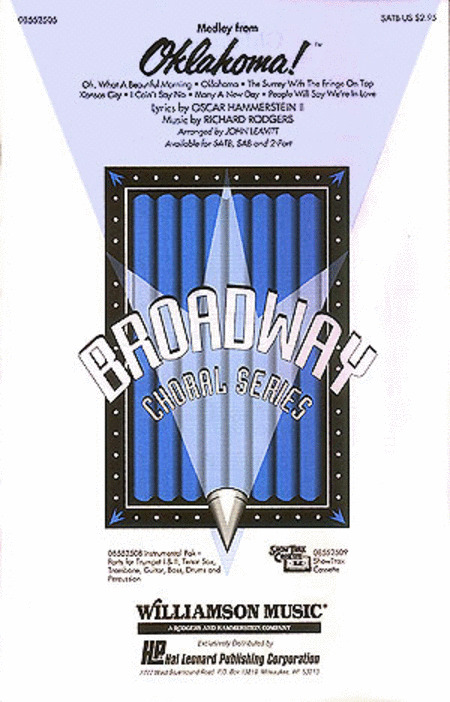 The beautiful Rodgers and Hammerstein ballad in an expressive and well-arranged concert setting. Available: SSA. Performance Time: Approx. 3:00. Arranger: Linda Spevacek | Composer: Richard Rodgers | Lyricist: Oscar Hammerstein | Musical: Oklahoma! 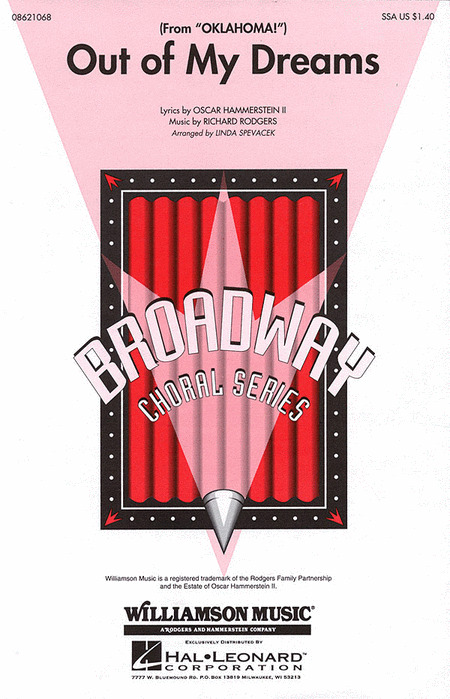 The charming duet from Rodgers and Hammerstein's classic Oklahoma!, in a medium swing setting for vocal jazz groups. 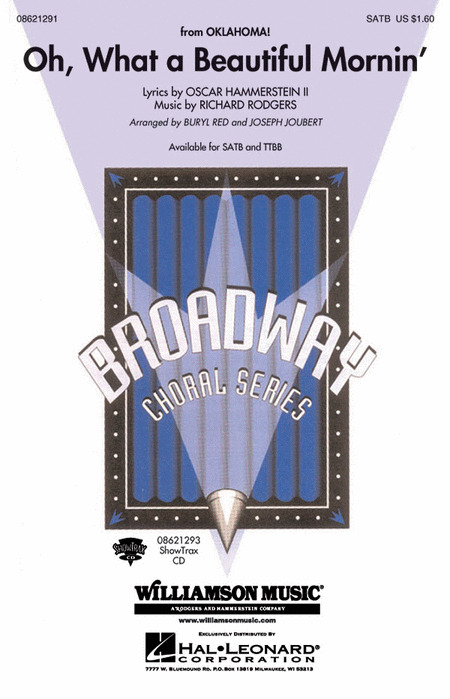 Available: SATB, SAB, SSA, Instrumental Pak, ShowTrax CD. Performance Time: Approx. 3:15. Arranger: Kirby Shaw | Composer: Richard Rodgers | Lyricist: Oscar Hammerstein | Musical: Oklahoma! From Rodgers and Hammerstein's Oklahoma, this barn-raising square dance number will introduce your singers to the fun of this great Broadway show! Available: 2-Part. Performance Time: Approx. 2:45. Arranger: Mark Brymer | Composer: Richard Rodgers | Lyricist: Oscar Hammerstein | Musical: Oklahoma! From the popular Kids On Broadway series, this charming Rodgers and Hammerstein classic from Oklahoma! will be a favorite with your singers, not to mention all the parents and grandparents in the audience! Well-written for younger singers, and a delightfully fresh piano treatment as well! Available: 2-Part. Performance Time: Approx. 2:28.